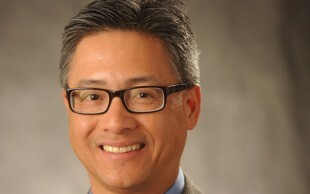 On March 2, 2015, Art Dao, Executive Director of the Alameda County Transportation Commission, spoke to a packed house at the Wendel Rosen Construction Practice Group’s Infrastructure Forum on the Commission’s plans for nearly $8 billion in transportation improvement funding approved by voters this past year under Measure BB. The Commission, which was formed in 2010 following the merger of the Alameda County Congestion Management Agency and the Alameda County Transportation Improvement Authority, serves as the congestion management agency for the County of Alameda and is responsible for planning, funding and delivering transportation programs and projects throughout the county. During his presentation, Mr. Dao explained that the Measure BB funding would be disbursed through a Comprehensive Investment Plan (“CIP”) which integrates existing planning and programming practices and all funding sources into streamlined five-year strategic plans. Under the first five-year CIP, an estimated $1.5 billion in transportation improvement funding will be spent, of which $737 million will be allocated to direct local distributions, $487 million for capital projects, and $275 million for other programming. For fiscal year 2015-2016, $137 million will be allocated to direct local distributions, $40.6 million for capital projects, and $6.5 million for transit programs. Thank you for the informative talk Art!